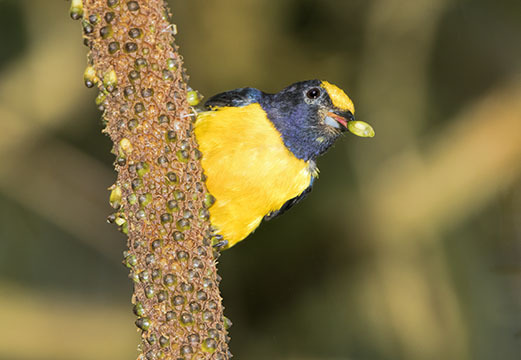 Euphonias are small fruit-eaters closely related to finches; these are orange-bellied euphonias (the female is cryptic olive-green). 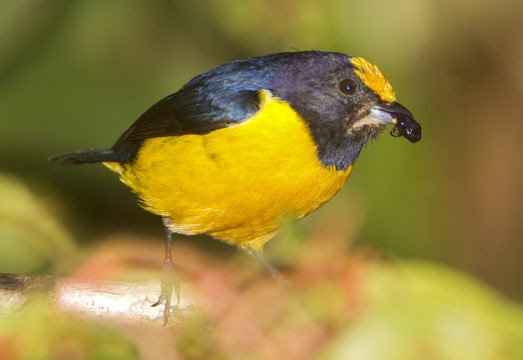 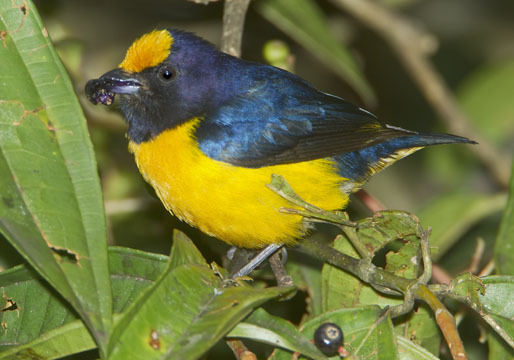 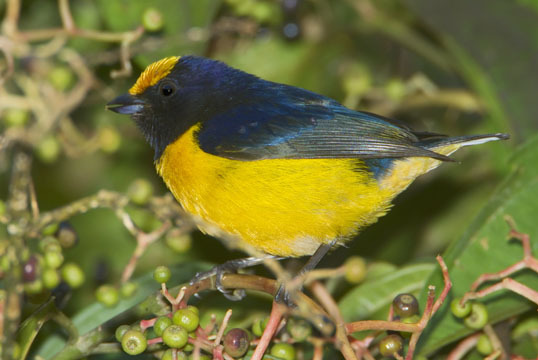 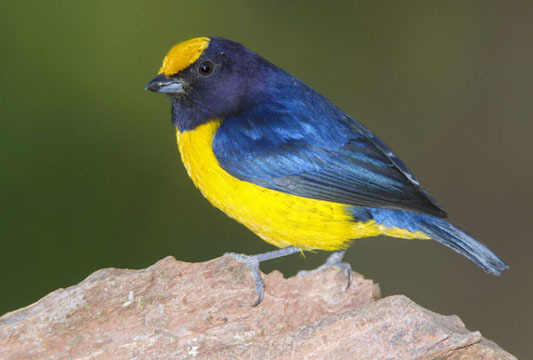 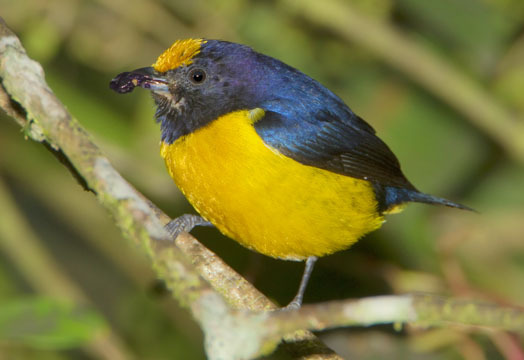 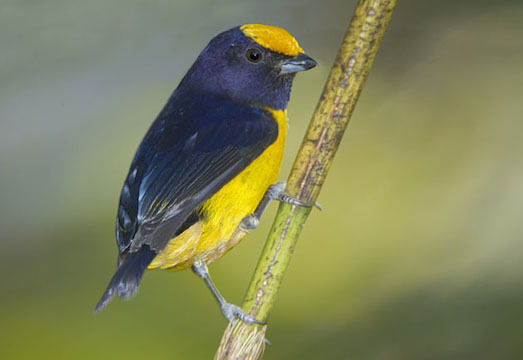 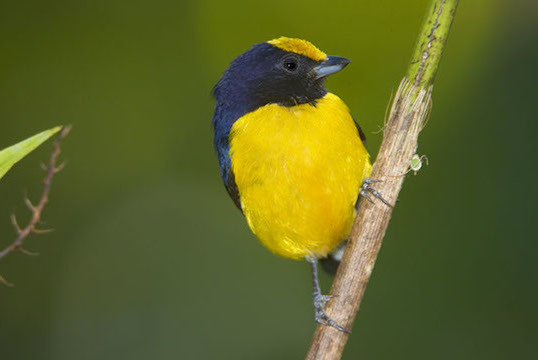 They were coming to a small fruiting tree in San Pedro, at about 1500 m altitude on the Manu Road in southeastern Peru. 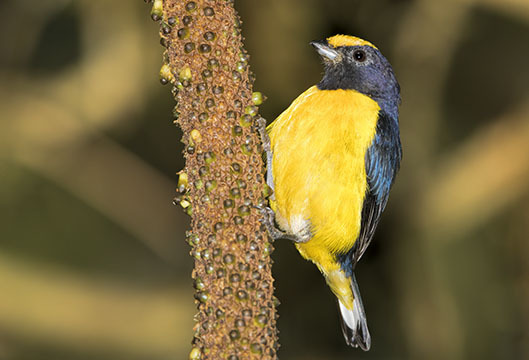 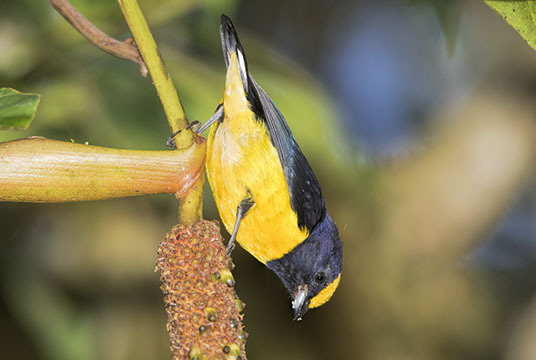 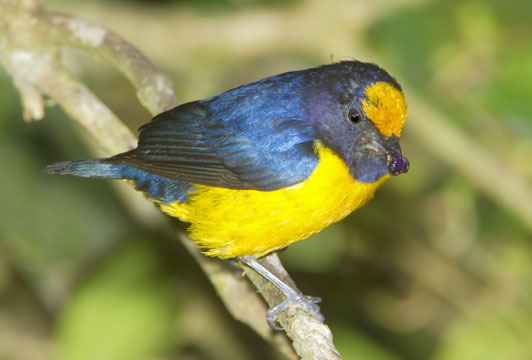 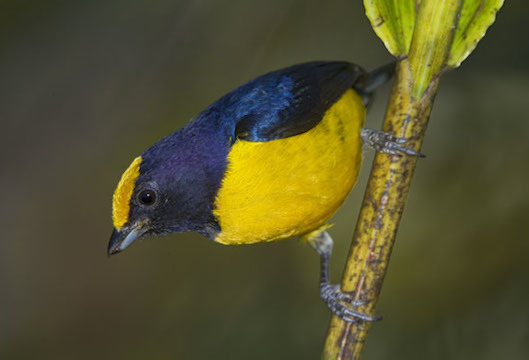 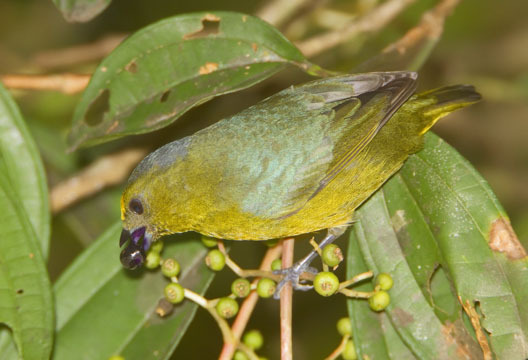 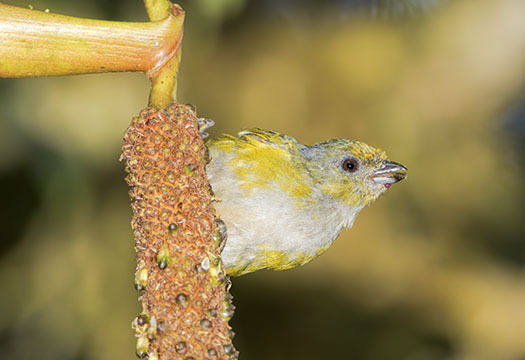 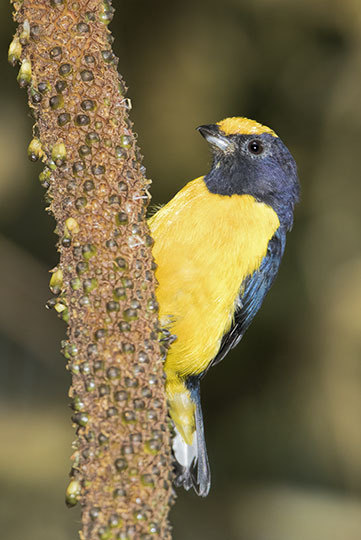 Other species feeding on these fruits included a number of tanagers (paradise, palm, silver-beaked, orange-eared, golden, golden-eared, golden-naped, spotted, beryl-spangled, bay-headed, blue-necked, saffron-crowned, and common bush-tanager), and in addition to the tanagers, versicolored barbets and blue-naped chlorophonias.